Do you dream of having a clean home? I think all of us want a clean and orderly home. Even if it is not one of our top priorities. I think we can all agree that when our home is clean and orderly then we can focus our attention on more important things...like the people we live with for starters. If you are new to my home on the web, this blog, then you might have not seen this post. The post was chuck full of information. It was a little overwhelming. 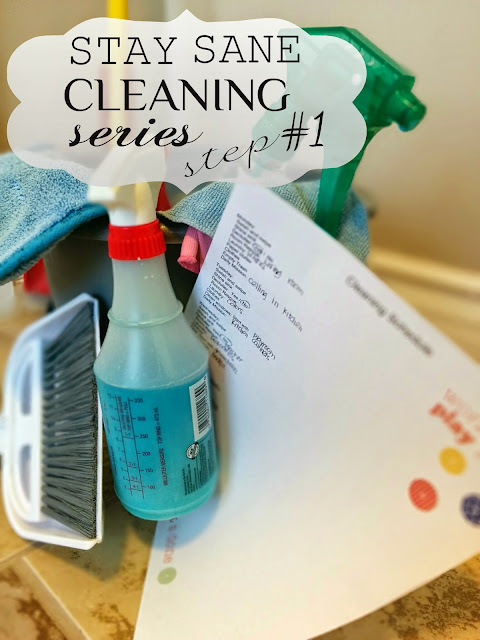 I am so passionate about this cleaning schedule and the fact that it can work for a busy, busy mom. So I want to break the post down into a series. I want everyone to stop stressing about having a clean house and enjoy their life a little better. I have decided to break down the cleaning schedule one step at a time. I am going to have several posts in this series so we can build habits together. Each month I will share one step in the cleaning schedule. That way we can literally take it one step at a time...slowly. Creating long lasting steps that stay. I am going to start with the steps that I do everyday. The first step is called Swish and Swipe (again this is part of the post mentioned above). This is taken from the one and only, Fly Lady. I seriously hardly ever skip this step on a daily basis. I hate dirty bathrooms! This make public bathrooms one of my worst nightmares. So I like to have mine very clean. This daily step reassures that this will happen. It should only take you 2-5 minutes a day. That's it! It is really simple. Follow the steps above. 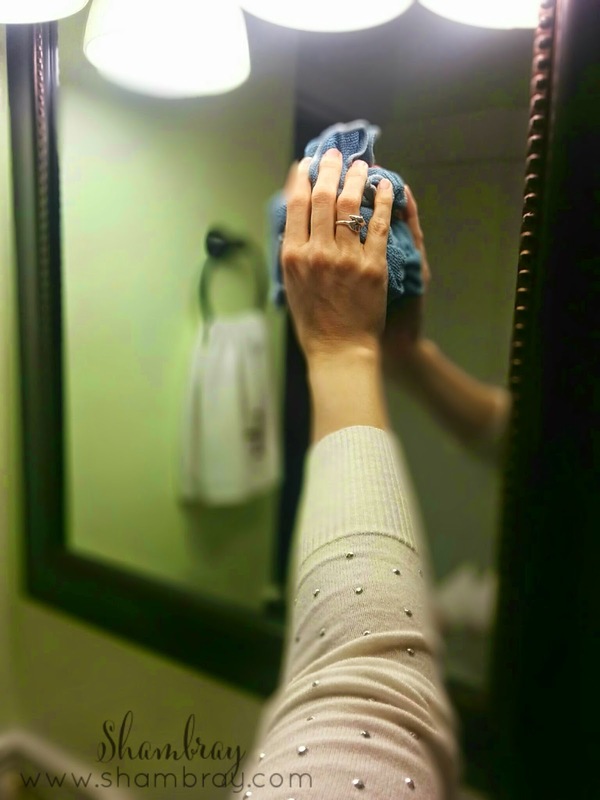 Quickly clean the bathroom mirror. If you are using Windex then spray it on and wipe it off. 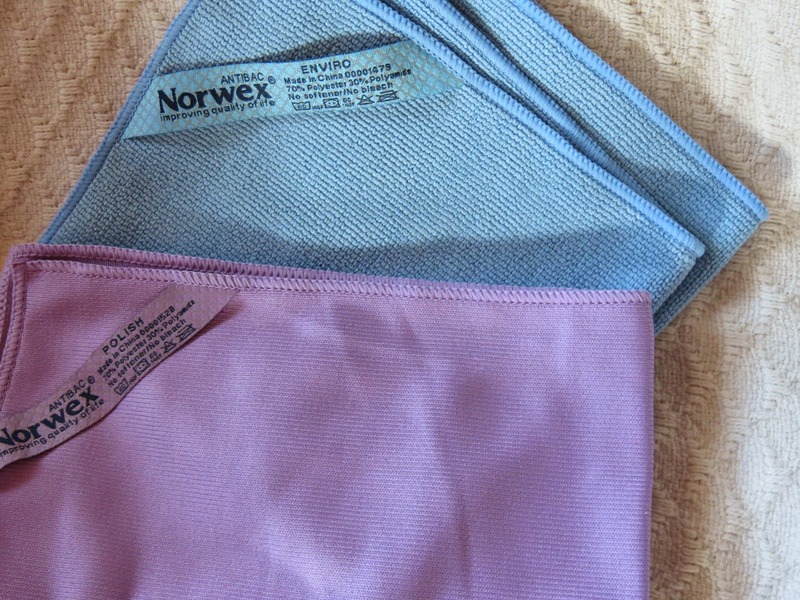 If you are using the Norwex clothes then use the Envirocloth to wet the mirror down and then dry it with the window cloth. Then quickly clean the bathroom sink. 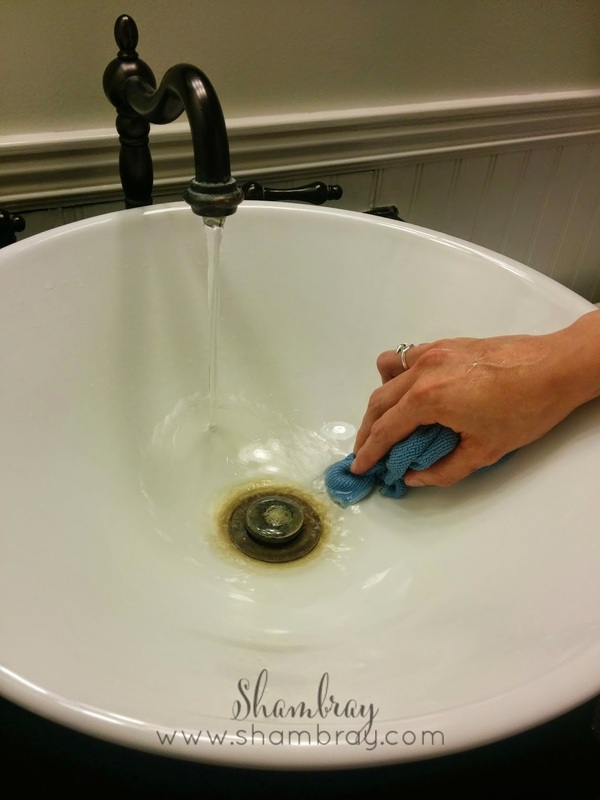 Clean the counter part and then the inside of the sink. Next quickly clean the toilet. I spray it all down and then scrub/wipe off the chemicals. Last, quickly scrub the toilet bowl. 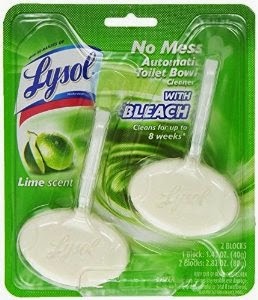 I have the Lysol No Mess Automatic Toilet Bowl Cleaners in all my toilets. 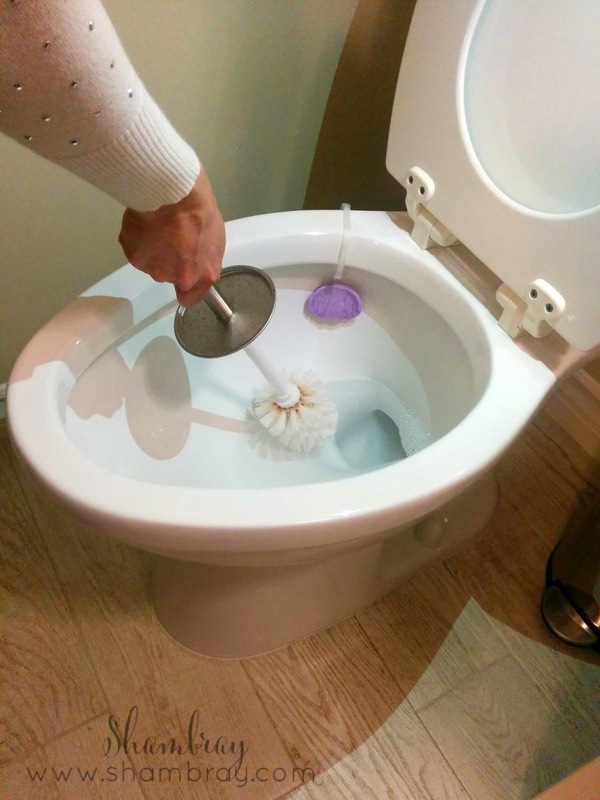 So I put my brush in the bowl then flush the toilet to get the soap on my brush then scrub the toilet bowl quickly. This is good enough for my toilets since they get cleaned so often. When I first started or if I need something more heavy duty then I use my homemade toilet bowl cleaner (here). I do this everyday, but not to ALL my bathrooms. So let me explain that better. I have 3 bathrooms. I clean one bathroom a day. So I get each of my bathrooms cleaned twice a week (I take Sunday off). Does that sound easy enough? I promise this is easy and it will make you feel so much better about your house. You won't be embarrassed if someone expectantly comes over and has to use your bathroom. It shouldn't take long and it is not hard at all. So lets commit together to clean our bathrooms daily. If we start now then in a month from now we can add another step, but for now. Lets just have sparkling clean bathrooms! You are wonder woman! I can't wait for the rest of this series!! I love this! It's not only great information, but I think it's great to frame it in a way that we all can join in trying to keep up with our own homes. I definitely want to re-commit myself! Yay! I can't wait to hear if you think it is as great as I think it is. I am soooo excited for these! 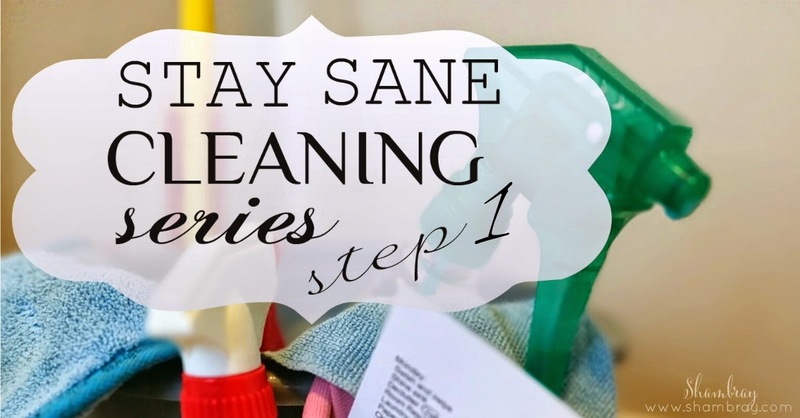 I obviously need some help keeping my little place clean and staying sane while doing it! Thank you! Staying sane is the needed part for me! I hope you find this as helpful as I have! Thanks for sharing your tips and go abouts. I just started with a cleaning schedule because I felt that nothing was done and my house got to dirty and then it was too hard to handle. Thank you for this - I will add this to my routine. Yay! I hope it helps. I will be posting the next step on Friday. So keep an eye out for it! 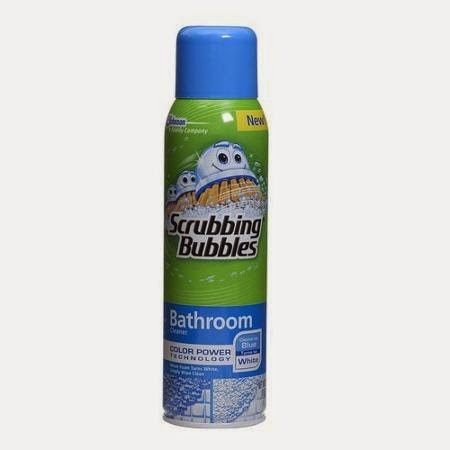 Who doesn't already know this is how to clean a bathroom? Why are we acting like this article is some miracle news?! Thank you for the kind words! Have a great day! How can you clean without and cleaning materials and stuff? Among the things you will need is a pair of rubber gloves, brushes or scrubbers, spray bottle, clean dry cloth and cleaning solutions (bowl and sink cleaner, muriatic acid, cleaning powder or gel). If you don't have cleaning solutions, you can use ordinary household materials like baking soda, vinegar and lemon juice. You provide useful post. Keep sharing !